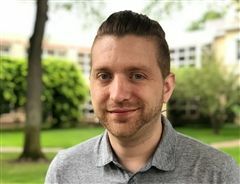 News about The Ellis School includes timely announcements about events, initiatives, and accomplishments happening across campus. 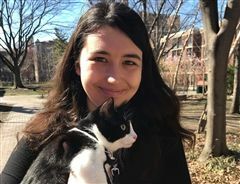 Ellis alumna Lauren DRAKE ’16 was accepted to the Wake Forest Institute for Regenerative Medicine as one of their Summer Scholars. 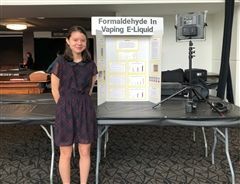 She was assigned to Dr. Emmanuel Opara to work on his project “Bioengineering a bioartificial pancreas”. 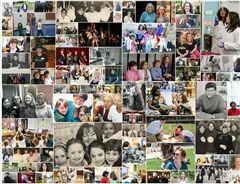 If you're a member of the Ellis community in any capacity, you already know that Ellis teachers are exceptional. 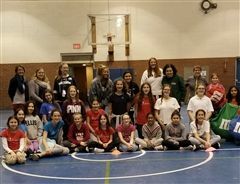 They take the time to get to know all of their students, ensuring that each and every girl receives the best possible education in a supportive environment. Dory Johnson, Class of 2019, has been recognized as a finalist in the National Merit Scholarship Program. 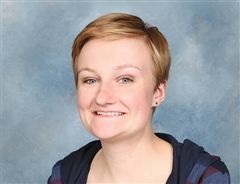 She is now one of 15,000 students who will be considered to be a National Merit Scholarship winner. 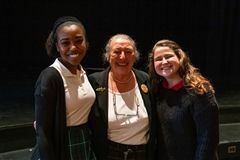 On February 11, two members of the Class of 2019, Payton Ferris and Lauren Jasper, presented to their peers in Ellis’ Upper School about their summer travels thanks to the Marcie WATERMAN Love ’56 International Travel Grant for the Global Empowerment of Women and Girls. Also in attendance were their parents, Marcie WATERMAN Love ’56, and her two daughters. 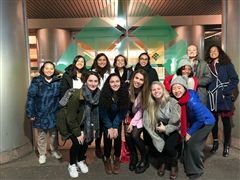 Each girl gave a presentation about their experience abroad and how they are going to take what they learned and integrate it into their senior projects. 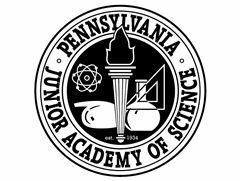 Congratulations to the 16 Ellis students who were awarded either first, second, or third place at the Pennsylvania Junior Academy of Science (PJAS) Regional Competition. Students visited Duquesne University on Saturday, February 2 to present their projects in front of a panel of judges. 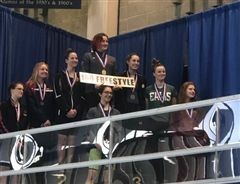 Both Middle and Upper School students were also awarded special awards such as the STARS Special Award, the Duquesne University Award for Excellence in Chemistry, the Meghan Roe Microbiology Perseverance Award, and others. 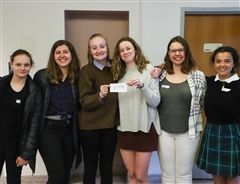 Twelve Ellis students won 16 Scholastic Writing Awards as part of the Western Pennsylvania Writing Project (WPWP). Students submitted both personal and work created in class. This year, every Ellis student that submitted work received an award. 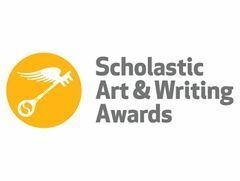 Students either received an Honorable Mention, Silver Key, or Gold Key, and one student received a nomination for the American Voices Medal. 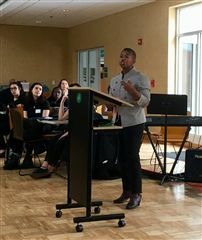 In November 2018, six students and five faculty members traveled to Nashville to attend the People of Color Conference and the Student Diversity Leadership Conference. In this video, attendees talk about why they went, what they learned, and in what ways they think Ellis can improve. 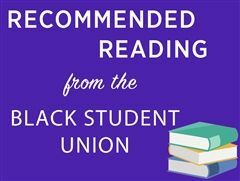 In honor of Black History Month, the Black Student Union at The Ellis School has compiled a list of books that honor the Black experience in America. 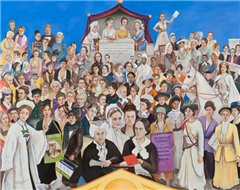 A mix of fiction, non-fiction, young adult novels, and children’s books, there is something for everyone to expand their knowledge. 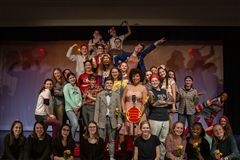 The Upper School musical The 25th Annual Putnam County Spelling Bee had audiences laughing, cringing, and spelling on February 8, 9, and 10. 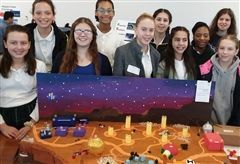 The show about middle school students participating in a regional spelling contest brought audience members back to moments from their childhood while also conveying an important message: you can create your own path. Ellis Middle and Upper School Strings Teacher Simon Cummings was involved in a performance of “The Old Man and the Sea” which closed this past February. Recently adapted by A.E. 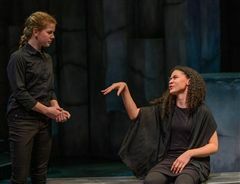 Hotchner, the world premiere of the play used immersive storytelling through video along with the actors and set onstage. Karen Boyer, School Counselor, speaks to why Ellis prioritizes students’ mental, social, and emotional health. 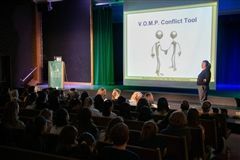 From practicing mindfulness to encouraging students to ask for help, strategies and tools are implemented across divisions to foster self-respect and self-worth. 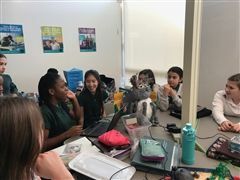 Why do Lower School students gather once a week to learn in community with each other? 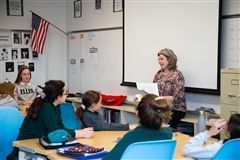 Ann Martino, Head of Lower School, shares why Ellis believes in the importance of weekly assemblies and this dedicated time to share, work, and collaborate together as a group. The Lower School performed the musical Chitty Chitty Bang Bang Jr. for families, fellow students, faculty, and staff ahead of Winter Break. Grade 4 students led the production, taking audiences on a raucous and riveting ride from start to finish.